On your next vacation in Pyongyang, be sure to visit the Victorious Fatherland Liberation War Museum, formerly known as the USS Pueblo. The Pueblo is the only American vessel being held by a foreign country. It has been in North Korea for, as of last week, fifty years. The ship’s story is well recalled by many of us of a certain age – I became bar mitzvah the previous year – but is unknown to many post boomers. It is, however, a saga with significant implications for contemporary geopolitics. The two separate and very different Koreas emerged from World War II, when the north of the peninsula was occupied by the Soviet Union, and its south by the U.S. North Korea made repeated incursions into South Korea. The North took on a radical Marxist identity; the South, a Western capitalist one. The North Koreans were spotted and a firefight ensued. Most of the North Koreans were killed or captured, but 27 South Koreans and three American soldiers perished and 69, including three Americans, were wounded. 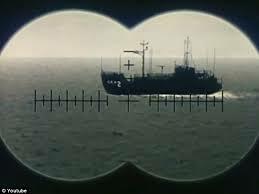 At that same time, the Pueblo, which had been converted to a spy ship, was in international waters off the coast of North Korea. In a communications lapse that today would be unthinkable, the ship’s captain, Lloyd M. Bucher, and his 83-man crew knew nothing of North Korea’s most recent attack on the South. Less than a week after the Blue House attack, the Pueblo was accosted by North Korean navy vessels and air support. The American vessel was fired upon and one crewman was killed. The vessel was not equipped to respond militarily to such an attack and, on January 23, North Korean forces boarded the Pueblo. The North Koreans claimed the American ship had violated its territorial waters, and held its captain and crew captive. In order to force “confessions” from the captives, it severely mistreated them as well. Captain Bucher repeatedly refused to cooperate. But he was beaten and deprived of sleep, and shown the example of a suspected South Korean spy – a unconscious man hanging from the ceiling by his hands and who had been beaten so severely his bones showed through his skin. The torture victim had bitten through his lower lip and one of his eyes had been put out. Captain Bucher was told that his crew would be killed, beginning with the youngest and working up. The captain decided at that point to sign a confession. The forced confession was signed on February 15 and the humili­ation inflicted on the U.S. was exploited for all its worth, complete with propaganda photos of the “repentant” crew. The sham became clear when, in one photo, the crew members displayed a rude gesture (which they told their captors was a Hawaiian “good luck” sign). Captain Bucher also punned on an English word to change a salute to the North Koreans into an insult of them. When the captors realized that their propaganda had been undermined, they beat the captives even more harshly than before. Eleven months after the Pueblo’s capture, its captain and the surviving members of its crew were freed, when the U.S., after lengthy negotiations with the North Koreans, provided a written apology and admission that the Pueblo had been spying, and an assurance that the U.S. would not spy in the future. The apology, however, was preceded by an oral statement that it was done only to secure the captives’ release. And so, North Korea’s current animosity toward the U.S. is nothing new; it is, in fact, central to its identity and its leaders’ self-justification. The country’s leader today, Kim Jong-un, needs to stir that cauldron of hatred even more than did his father, Kim Jong-Il, or his grandfather, Kim Il-sung, who led North Korea when the Pueblo was captured. And he has nuclear weapons. Last week, two days after the 50th anniversary of the Pueblo’s capture and after countless recent provocations of South Korea, the North suddenly announced that “all Koreans at home and abroad” should make a “breakthrough” for unification, “promot[ing] contact, travel, cooperation between North and South Korea.” And it added that Pyongyang will “smash” all challenges to the two Koreas’ reunification. Nations’ alliances and enmities come and go. Some animosities, though, run so deep they seem immutable. That’s a lesson to be learned from visiting a ship-turned-museum in Pyongyang. This entry was posted in News on February 1, 2018 by Rabbi Avi Shafran.